Westfalia Fruit’s dried mango is prepared from sound, choice-grade, succulent, ripened fresh fruit, which has been washed, skinned, cut and dried in an optimally-controlled hygienic environment to provide the best possible food safety. No sugar is added. Dried mango is best stored in cool, dry conditions. For optimal quality we recommend the use of our product within 12 months. 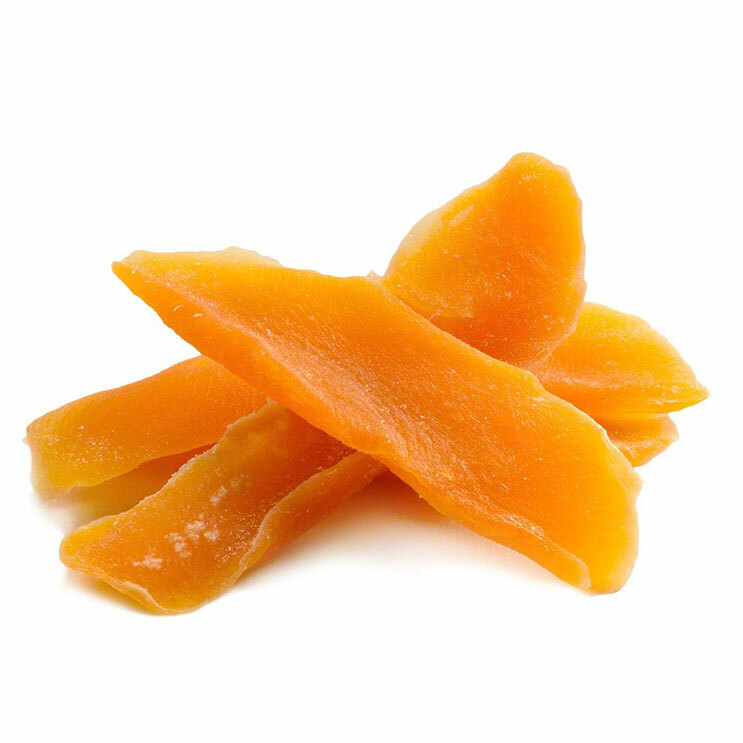 Westfalia dried mango is loaded with goodness; 100g is equivalent to 600g of fresh fruit. Dried mango is low in saturated fat and sodium and contains vitamins A and C, as well as niacin and potassium. The nutritional and health benefits of dried mango make it suitable for maintaining optimum health and it can also be included in weight loss programmes. It is a good source of fibre and roughage, which can help to promote colon health. It is also highly regarded as a source of instant energy, thanks to its high concentration of carbohydrates. Westfalia dried mango is a delicious addition to a balanced diet. Ideal on its own as natural, nutritional and delicious health snack or added to cereals, desserts, cakes and puddings, sosaties, marinades, preserves, jams and jellies.